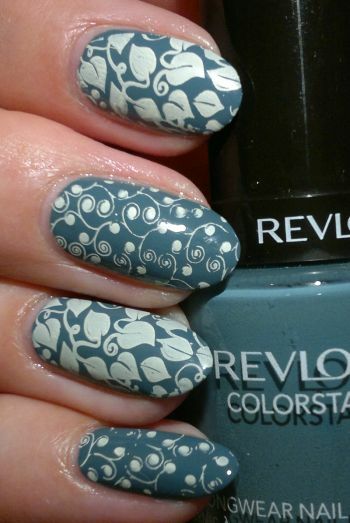 For this mani I painted my nails with Revlon Colorstay 280 Blue Slate (2 coats). 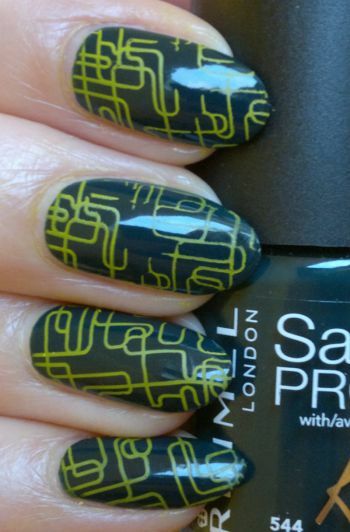 This is one of my favourite Revlon nail polishes. I love everything about it! 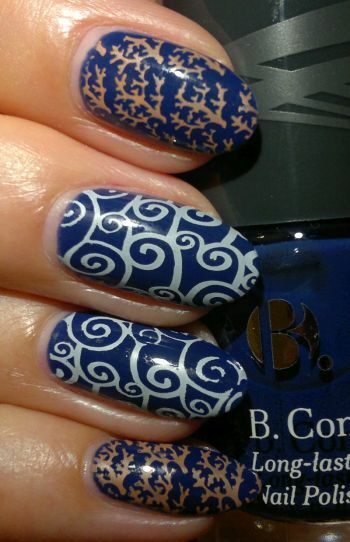 I decided to stamp. 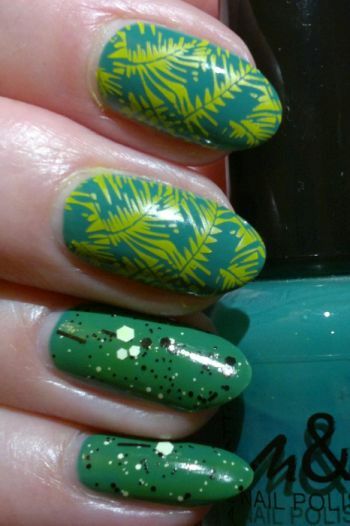 I used Bundle Monster‘s BM 703 plate (which is part of Bundle Monster‘s awesome Secret Garden stamping plate collection. 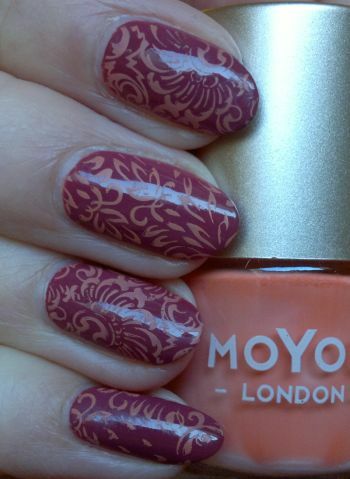 The polish I stamped with is MoYou London‘s Scandi Sun. 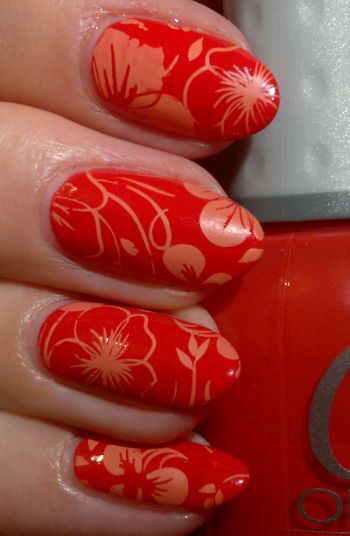 This polish is quite chalky which makes it difficult to pick up smaller images. 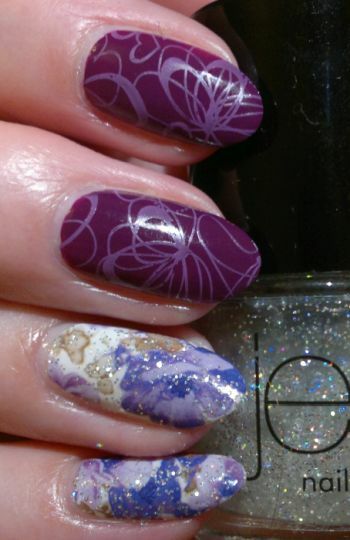 I didn’t love the mani, but I think it looked nice enough for a few days.